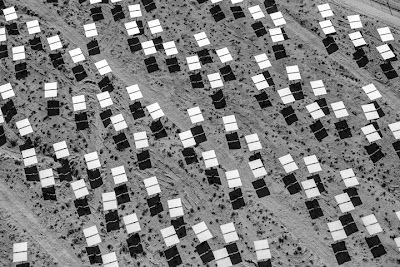 On Friday, September 28, 2012, photo-eye Gallery will open a group exhibition of sun-related images titled Solar. Included in this exhibit will be recent works by Jamey Stillings from the Ivanpah Solar power plant, historic photographs from the Lick Observatory printed by Linda Connor, recent high definition solar images by Alan Friedman, sunburned photographs by Chris McCaw, sunrise studies by David H. Gibson and solar images by film and video artist Sharon Harper. Known in the fine art world for his images of The Bridge at Hoover Dam, Jamey Stillings has just embarked on a new project – Evolution of Ivanpah Solar. Ivanpah Solar power plant will be the world's largest concentrated solar thermal power plant. In late 2010, Stillings initiated his first aerial survey of Ivanpah Solar, which he plans to continue through 2013. Much like Stillings' photographs of The Bridge At Hoover Dam, Stillings observes the construction site with the eye of an artist recording manmade structures, patterns and lines within the natural landscape. Photographs from this new project have already been published in The New York Times Magazine. Photographs from The Bridge at Hoover Dam have been widely exhibited and published in numerous publications such as Newsweek Japan, New York Times Magazine, LA Times and in 2011 Nazraeli Press published Stillings' first trade edition book, The Bridge at Hoover. Stillings holds a BA from Willamette University and an MFA from the Rochester Institute of Technology. He was a finalist in Photolucidaʼs 2010 Critical Mass Top 50, and was recognized with CENTERʼs 2010 Directorʼs Choice Award and the 2010 International Photography Award, Architecture: Bridges. Linda Connor is recognized for her imagery of the ancient and sacred. 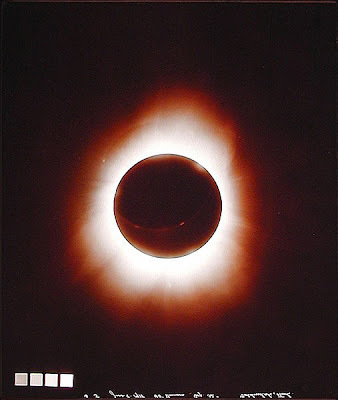 Included in this exhibition will be historical images of solar eclipses drawn from the archive of the Link Observatory in San Francisco and printed by Connor with the observatoryʼs permission. The prints, which were made from their original glass plate negatives, were made by a variety of important photographers including E.E. Barnard. Printed on a gold toned, discontinued printing out paper, these images are extremely rare. The images inspire contemplation of both the spiritual and the scientific; the real and the unknown. Connor is the recipient of three National Endowment for the Arts grants and a Guggenheim fellowship. Her work can be found in the collections of Art Institute of Chicago, Center for Creative Photography, University of Arizona, Tucson, the J. Paul Getty Museum, Museum of Modern Art, New York, San Francisco Museum of Modern Art, and Victoria and Albert Museum, London. Linda Connor is also the president and founder of PhotoAlliance, a nonprofit organization that supports the understanding, appreciation and creation of contemporary photography. David H. Gibson is primarily a self-taught photographer originally known for his panoramic landscapes of Texas and the Four Corners region. Solar will include a selection of Gibsonʼs sunrise studies from Eagles Nest Lake, NM. Though Gibson has photographed in a wide range of locations, Eagles Nest Lake is one that has really held his attention and kept him returning for over 20 years. Gibson likes to revisit specific locations to observe and record the subtle changes that occur over time – the effects of the weather, time of day versus the time in history that a place exists. Years of developing and refining his photographic technique have afforded him much recognition. Gibson has exhibited widely in both group and solo exhibitions, and his work is a part of several permanent public and corporate collections such as the Amon Carter Museum and the Museum of Fine Arts, Houston as well as the Exxon and AT&T collections. Gibson has published several trade edition and handmade books, including a handmade book of sunrise images from Eagles Nest Lake. Sharon Harper uses photography and video to explore perceptions that we cannot experience without the camera. 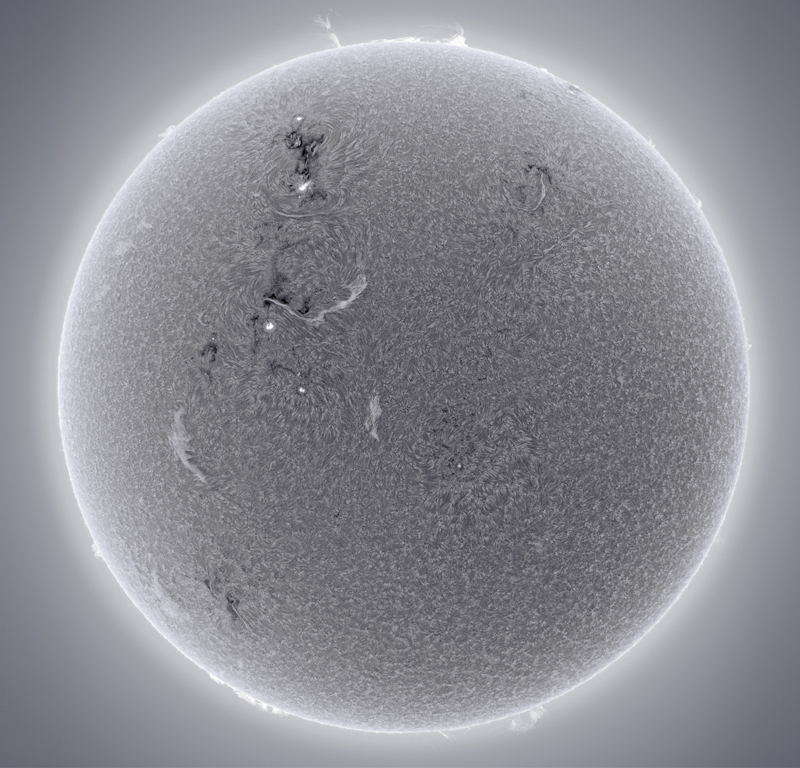 Solar will include a selection of her images of the sun from her project Sun/Moon. Harper's photographs draw on scientific and artistic uses of photography to illuminate existential concerns, embracing photographyʼs contradictory ability to verify empirical evidence and evoke fantastical possibilities. Sharon Harper received her MFA from The School of Visual Arts, New York. Her work has been exhibited widely and is included in the public and private collections for The Museum of Modern Art, New York, Whitney Museum of American Art, New York, Nelson-Atkins Museum, Kansas City, among others. A new monograph of Harper's work, From Above and Below published by Radius books, will be released September of 2012. 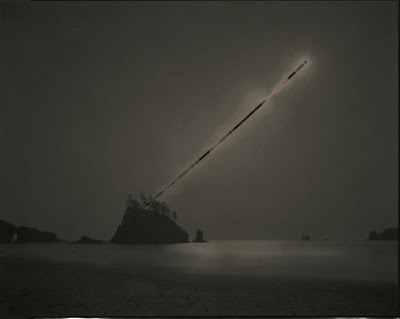 Chris McCaw is a San Francisco based photographer who has established his career making unique photographic renderings of the sun. His process relies on an intense focusing of the light of the sun through his camera lens. The result, after several hours of exposure, is that of a polarized landscape (the negative reversed) scared by the laser-like mark of the sun. McCaw received his BFA from the Academy of Art in San Francisco. McCawʼs work has been exhibited widely and is held in the collections of The Metropolitan Museum of Art, NY, The George Eastman House, Rochester and The Museum of Fine Art, Houston. McCawʼs first book Sunburn, published by Candela Books, is due out this September. Alan Friedman is a photographer with a passion for astronomy. Working out of his studio in downtown Buffalo, NY, Friedman makes high-resolution photographs of the sun, moon, planets and the bright sky.